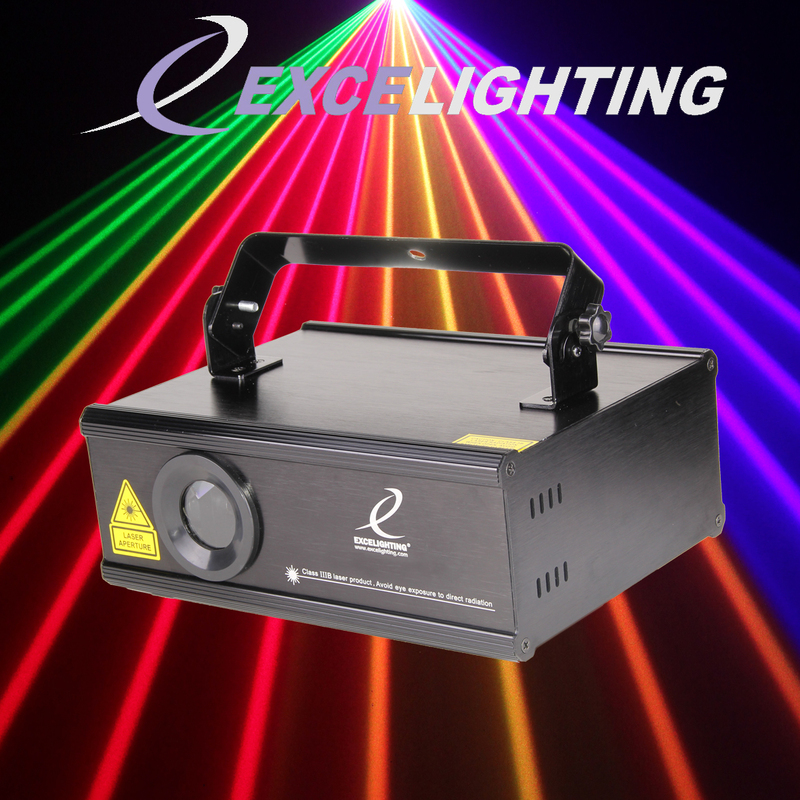 A laser 2 in 1, traditional and effect Twinkling "laser beams slowed down which go in all directions"
• Thanks to scanners high definition 20 kHz, CLUB 1000 RGB III projects qualities RGB images. o Mode MUSICAL: 100% plug play. Simply connect your device to the mains and admire the show commissioned by the music. o Automatic Mode: Projection of the laser without music show. 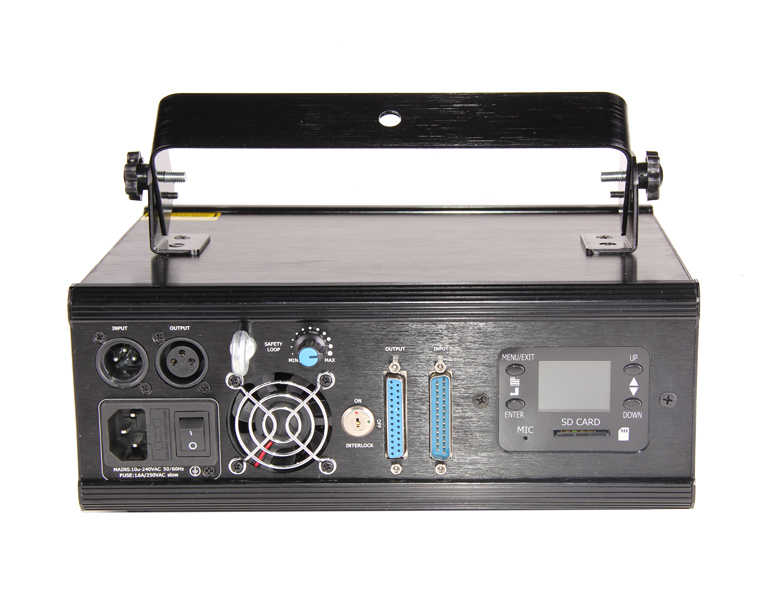 o DMX Mode: 24 channels to control completely all internal programs! o Mode ILDA mode: create your show laser with different software. 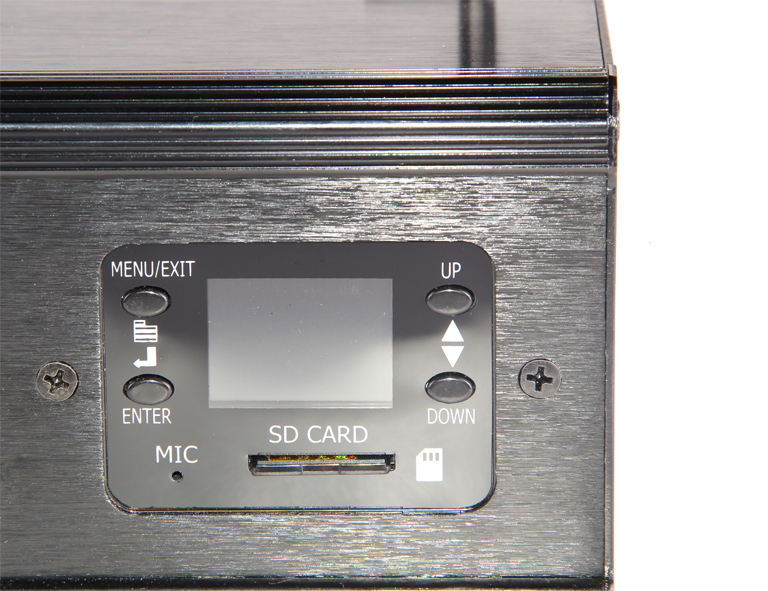 o SD card Mode: playback of preprogrammed shows, logos, patterns on the SD-card. • Laser projections can be adapted to the size of the venue with X/Y image zoom controls. • LCD-display for easy navigation in the setup menu.